If you have ever been to a restaurant (and we bet that you have), you know how important it is for the place to be clean. After all, no one likes to think about the dirt and germs that could be getting into their food! We can all collectively cringe when we think about someone wiping down the counters with an old dishrag and then preparing our food immediately after without changing their gloves! However, if you are one of the restaurant owners in San Diego, you know that an unclean restaurant is much more than just gross – it’s a hazard to you, your employees, and your restaurant’s patrons. Ensure that your employees keep high personal hygiene standards, including washing the hands and arms frequently, as well as covering any cuts they may have. If anyone is sick, send them home immediately! Keeping that person working isn’t worth making all of your patrons sick, too. Every food surface contact point and utensils should be cleaned thoroughly. Check to make sure that all the extra food bits have been cleaned off before trying to use a utensil again. All food equipment, including the grill, oven, or whatever else is used to cook the food needs to be cleaned properly. These surfaces can harbor more germs than you may expect. Basic housekeeping and maintenance need to be performed in all areas of the restaurant – not just the kitchen. Have your employees wipe down the tables, mop the floors, clean the windows, and sweep when appropriate. A clean eating area and a clean kitchen can make all the difference in the world. All food must be stored in proper temperatures for a safe period of time. Any food that doesn’t meet these requirements must be disposed of. Your restaurant can only be as clean as your employees allow since it is likely that they will be in charge of the food preparation, storage, and basic housekeeping needs. Train them thoroughly, and be sure to monitor their sanitation tasks to keep them up to your standards. Checking each task as it has been completed can help you be sure that everything is working effectively and will keep your patrons safe from disease and contamination. Sometimes you need an extra hand in order to get everything done. We at SM Absolute understand the meticulous guidelines that come with owning a restaurant and keeping it as clean as possible. We also understand the fear of contamination and what it could mean for your business or branch. 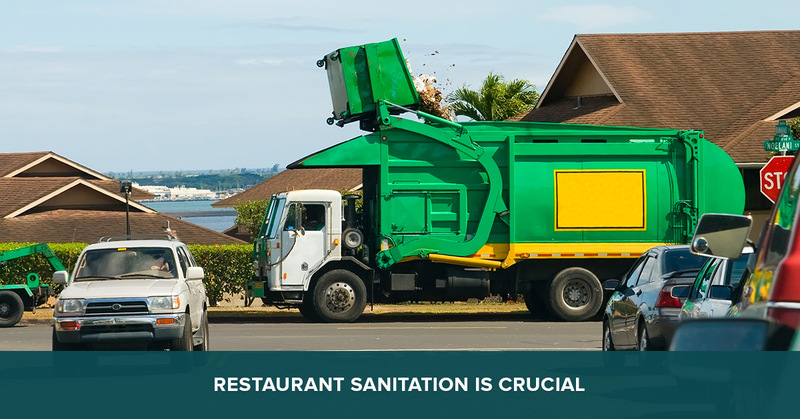 That is why we are proud to offer our sanitation services to ensure the safety of your diners. Our team can help you make absolutely certain that your business stays safe, clean, and ready to serve anyone who enters.